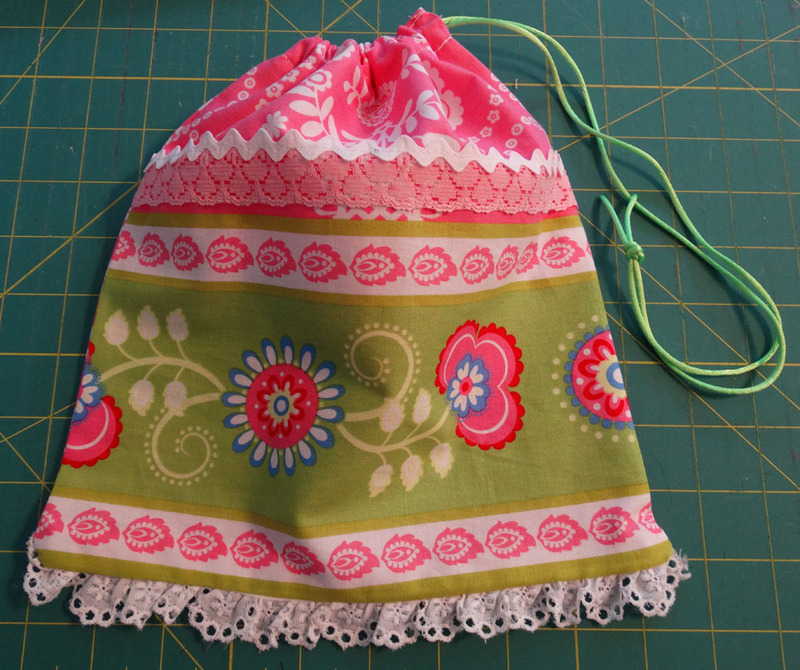 Sew Delightful: Thank you Brenda!! I received a beautifully packaged box from Brenda yesterday. It was filled with bright and well made dresses... each one labeled with a size and made out of the prettiest fabrics. I sew love receiving mail!! There will be some very happy little girls!! If you would like to join us in sewing or donating just email me at suzannewithdressagirl@gmail.com. 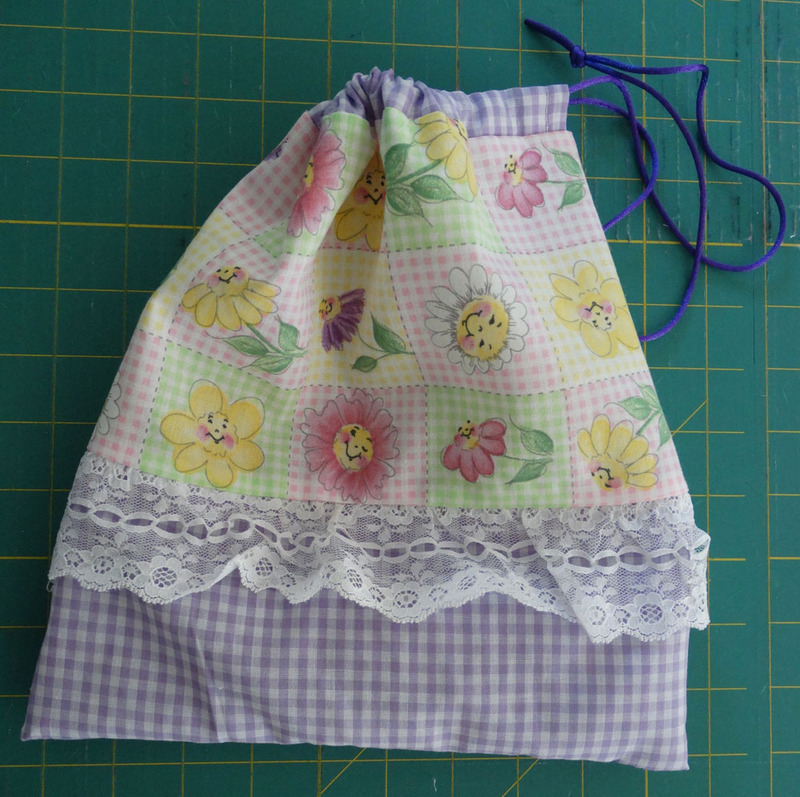 We can use cotton fabrics, trims, double fold bias tape and elastic. 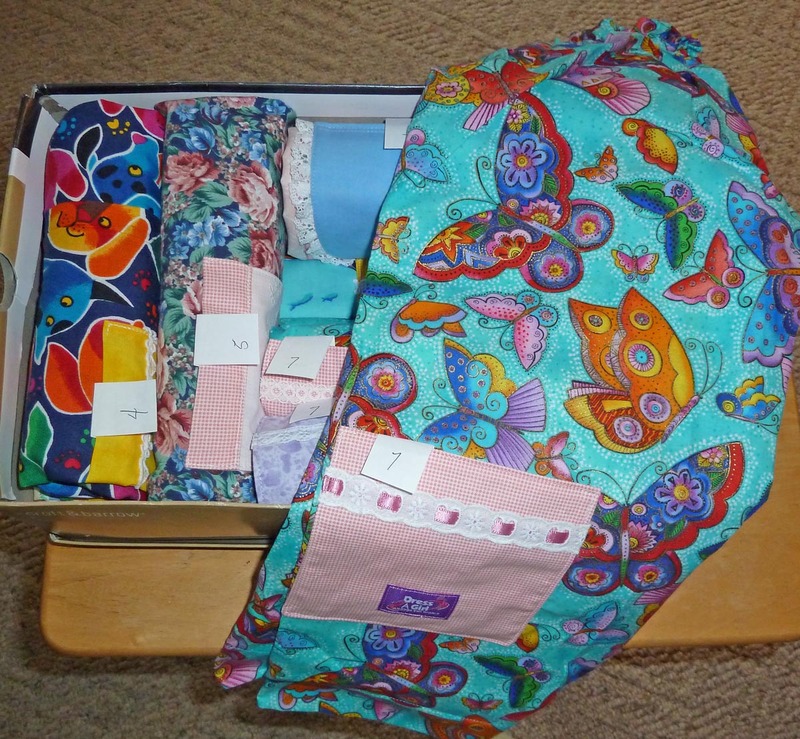 We also often have events that require no sewing to help. Tomorrow I am having volunteers over to my house to cut the fringe on fleece scarves. These scarves will be going into boxes along with dresses for girls in cold climates. If you are available email me for the address! And a very big THANK YOU to Brenda for all of her hard work!